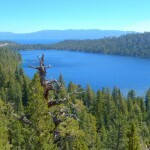 Buyers seeking a home throughout the Lake Tahoe area will find themselves partaking in an exciting adventure. Whether this is your full time residence, your family vacation home or an investment property, having a home in Lake Tahoe opens you up to to all the fabulous year round amenities that come with owning property in a unique, world class destination. 3 million people visit Lake Tahoe per year. Owning a home surrounded by beauty that attracts that volume of visitors is a fabulous real estate opportunity. While exciting, this is also an involved process that requires guidance and accurate information. Before you begin the process of buying a home in Lake Tahoe, you will want to ensure that you have the most up to date information, as well as a quality Realtor. We have put together some home buying resources that will give you answers to the many questions that can come up. When you are informed with the right information, along with the guidance of an experienced Realtor, you’ll be able to fulfill your dream of buying a home in Lake Tahoe for the best price. The importance of getting pre-approved. For more information on buying, visit our blog. If you have any questions about buying a home in South Lake Tahoe, please contact us for assistance.